Odilynch items can take up to 28 days to be hand-made and delivered unless we happen to have this item in stock in our shops in which case we will send it immediately to you as above table. Payments are by credit/debit card or Paypal. If for any reason you are not satisfied with your purchase from OdiLynch London, we will happily provide an exchange or a refund via your original method of payment. Returned items must be in perfect condition, labels intact and sent back with their corresponding receipt within 14 working days. Items bought on sale are not eligible for a refund or exchange. Your Odilynch product is lovingly handmade by our own artisans and as such no two Odilynch bags are the same! Variations in the grain, texture, design, colour and sizing may differ slightly from what is shown online. We have a no-waste policy. Any marks are an inherent part of the charm and character of the leather and further add to the originality and natural beauty and individuality of each piece. All international (non UK) returns should be declared as ‘unwanted returns’ for customs purposes. Once the returned goods have been approved, you will receive a confirmation e-mail confirming receipt and acceptance. 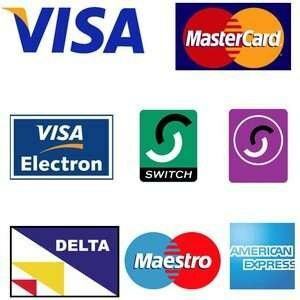 Your refund will be credited to the same card or Paypal account from which you made the original purchase. Please remember that refunds can take 3-5 working days for your bank to process. In the unlikely event that you have problems with your bag in first year of use your bag will be repaired for free and post will also be free, in the second year of use all repairs are minimum £30 plus post and in the 3rd and following years the cost of repair is £50 plus post.